Brenton Clutterbuck and the Illuminatus! play manuscript. Discordianism is the most influential parody religion you’ve never heard of. However, the half-century old “joke disguised as a religion” is experiencing something of a resurgence, with events such as Daisy Eris Campbell’s Cosmic Trigger play and the ‘Find the Others Festival’ organized by a team of chaotic pranksters including Ben Graham. Now that chaos is returning to the UK (in style! ), I talk to Ben Graham to look back on the long strange journey it’s taken to get here. From the pop sensation that burned a million pounds, to the reclaim the streets movement, Graham tracks chaos from comics to the Cosmic Trigger play. here’s where it’s coming from. In 2015 trend forecaster K-Hole made a bold prediction; the next big thing would be Chaos Magic. To their credit, they seemed to have their finger firmly on the pulse of the zeitgeist—bit by bit, Chaos seemed to start waking up. A sudden resurgence of interest in Discordianism—a chaos worshipping ‘joke religion’—saw multiple book releases from names such as Adam Gorightly and John Higgs. John Higgs also began to do a tour to promote the legacy of famous Discordian author Robert Anton Wilson. 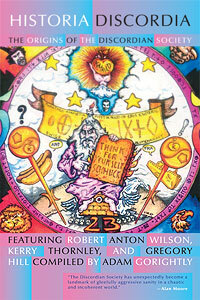 Robert Anton Wilson’s family regained copyright to his works and began publishing under the name Hilaritas press. Meanwhile his book Cosmic Trigger (Amazon) was adapted into a play by Daisy Eris Campbell, and a Discordian festival was announced in ‘a south Yorkshire woodland’. Suddenly, Chaos seemed to be creeping out from nowhere. But of course it hasn’t come from nowhere—in fact, while Anarchy may get all the attention, Chaos in the UK has a long and appropriately complicated history. 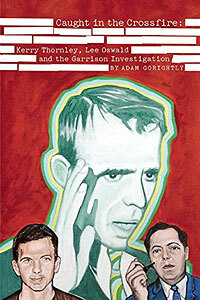 On a cold evening in London, I spoke to writer Ben Graham, an organizer of Festival 23 and author of A Gathering of Promises: The Battle for Texas’s Psychedelic Music From the 13th Floor Elevators to the Black Angels and Beyond (Amazon), who agreed to guide me through the strange trajectory of British Chaos. I meet him at a pub up the top of Paddington Station. He has a kind of geeky manner to him, and that delightful British politeness that we see in Hugh Grant movies, shaggy sandy hair framing a friendly face well speckled with rough stubble. Ben starts his tour of the chaotic in his childhood; his first forays into these concepts of chaos came as a child reading comic books. Specifically, a hugely popular series called 2000AD—the series that spawned the character Judge Dredd. Grant Morrison, would go on in the late-80s to publish a strip named Zenith, notable for its themes of Chaos Magic. Here, he took influence from Chaos Magician Peter Carroll, the founder of the Chaos Magic organization Illuminates of Thanateros. The inspiration was quite overt—too overt perhaps—at one point Carroll threatened legal action against Morrison. “You had a kind of a mainstream kids comic where three out of five strips in it would be kind of Chaos Magic primers for kids,” Ben tells me. This early transferal of Chaos Magic ideas from Carrol’s somewhat obscure special interest publications, into mainstream youth popular culture was perhaps one of the first big steps that Chaos took into the mainstream of the British public’s imagination. An important influence on the development of Chaos magic was the writing of Robert Anton Wilson & co, particularly the Discordian Society who revered Eris, the Greek goddess of Chaos. The Discordians pointed out that humor, clowning about and general light-heartedness was conspicuously absent from magic, which had a tendency to become very ‘serious and self-important’. There was (and to a certain extent remains) a tendency for occultists to think of themselves as an initiated ‘elite’ as opposed to the rest of humanity. Unlike the variety of magical systems which are all based in some mythical or historically-derived past (such as Atlantis, Lemuria, Albion, etc), Chaos magic borrowed freely from Science Fiction, Quantum Physics, and anything else its practitioners chose to. Rather than trying to recover and maintain a tradition that links back to the past (and former glories), Chaos magic is an approach that enables the individual to use anything that s/he thinks is suitable as a temporary belief or symbol system. What matters is the results you get, not the ‘authenticity’ of the system used. So Chaos magic then, is not a system—it utilizes systems and encourages adherents to devise their own, giving magic a truly Postmodernist flavor. The Illuminatus! Trilogy, 'candy apple red' edition from Dell Trade Paperback, January 1984. Courtesy of the Discordian Archives. Robert Anton Wilson was himself one of the original Discordians, and is probably single-handedly the person most responsible for the spread of Discordian ideas through the series of books he wrote with his friend Robert Shea—The Illuminatus! Trilogy (Amazon). This strange trilogy featured Discordians fighting against the evil plans of the Illuminati, and proposed that nearly every conspiracy theory popular at the time of writing was simultaneously true. The event that bought Wilson’s ideas across the pond from the USA was the adaption of his Illuminatus! Trilogy into a play in 1977. Such a feat seemed impossible to do; luckily the discovery of the trilogy came to Ken Campbell; a man who regarded nothing as worth doing unless it was impossible. He was also the father Daisy Eris Campbell, who recently produced the play of Wilson’s book Cosmic Trigger. Campbell was a theatre legend. His production of Illuminatus! into a play was a testament to his drive and creativity—the final presentation was performed as five acts across five nights, followed by an epic 10 hour presentation of all acts together. The opening date—November 23, 1976—took advantage of the Discordian obsession with the number 23. As part of Ben’s writing career, he had the opportunity to interview one of the participants in this epic scale caper—Bill Drummond, who had developed the visionary set design of the play, creating surreal sequences with sets out of proportion to the actors, and using innovative techniques to position audiences in surprising ways, such as presenting actors horizontally to allow for a birds eye view of a tarot reading. Drummond is actually more famous for his role in music than for his role in the Illuminatus! play. He, together with Jimmy Cauty, founded The KLF, a sample based pop outfit. Their original name was The JAMS, a name alluding explicitly to a group in Wilson and Shea’s Illuminatus! Trilogy. When the band first burned the money, they followed up with a tour where they invited audiences to ‘tell them’ why they burned the money. Ben was in attendance at one of these nights in 1995, and detailed it for his fanzine News From Nowhere. Ben later sends me a copy of it. It is a good piece. The mood of the gathering is palpable, an audience frustrated at being asked questions rather than being given answers, in parts angry, congratulatory and indifferent. At one point Graham describes some of the outbursts of the crowd, describing the reaction of a group of punks unhappy that no explanation would be forthcoming. “How do you get rid of piles,” they demand, amidst assorted jeers and heckles. “Grab ‘em in your hand, right, and shove ‘em back up yer arse and hold ‘em there,” demonstrates Bill. At one point in the article Graham quotes one of the pair saying they weren’t trying to make a big statement like “chopping off our hands or something.” The joke would have been lost on the audience—Bill publicly admitted seriously considering that mad idea in his book 45, released in 2000. One interesting point made towards the end of the article is Graham quoting Bill talking about a gender divide; men were more likely than women to support the burning. Ben Graham, an illuminated fountain on British Chaos. I mention to Ben the prevalence of the concept of the Temporary Autonomous Zone, in the rave scene. This idea came from Hakim Bey, a philosopher, who described this concept of a space in which the usual laws did not apply in his 1991 book of the same name. He describes the recent Occupy as a natural outgrowth of reclaim the streets movement. Both festivals and riots aspire towards freedom; both ultimately are only temporary negations of a stultifying status quo, but may lead to more long-term solutions catalysed by their unfettered expression of energy, anger, love and/or ecstasy. There is freedom in the heart of a riot; a wild abandon and a sense that suddenly anything is possible. Do what thou wilt is quite literally the whole of the law, for the law as defined by policemen, judges and politicians is shown to have no empirical natural authority. It is an assumed condition imposed by those temporarily in power, and can be overthrown both within and without by the will of the people, if only for a limited time and space. But if it can be done once, even for a few seconds, can such glorious lawlessness not be achieved again? So did chaos jump from magic manual to comic book, find itself in fiction, transferred to stage before implanting itself in the minds of future pop superstars, whose rave hits implanted it into the culture of rave, and ultimately protest and party culture? Well, of course not—such a story is far too clean for the messy madness that is chaos. But if there’s a lesson here, it’s that every strange step of history sets off another twenty-three steps in all sorts of directions. With so many chaotic steps bouncing off each other, how long do you think it will be before you too have the pleasure of being plunged into chaos? My forthcoming book Chasing Eris will be released next month. The book documents my worldwide adventure to experience modern Discordian culture, meet its personalities, and the discovery of many elusive Erisian mysteries. This entry was posted in art, book, brenton clutterbuck, daisy eris campbell, discordian timeline, discordianism, illuminatus!, interview, music, play, robert anton wilson, robert shea, writings. Bookmark the permalink. Word out to Beast, cool to see your digital face!